All in one HR platform that scales with your company needs. 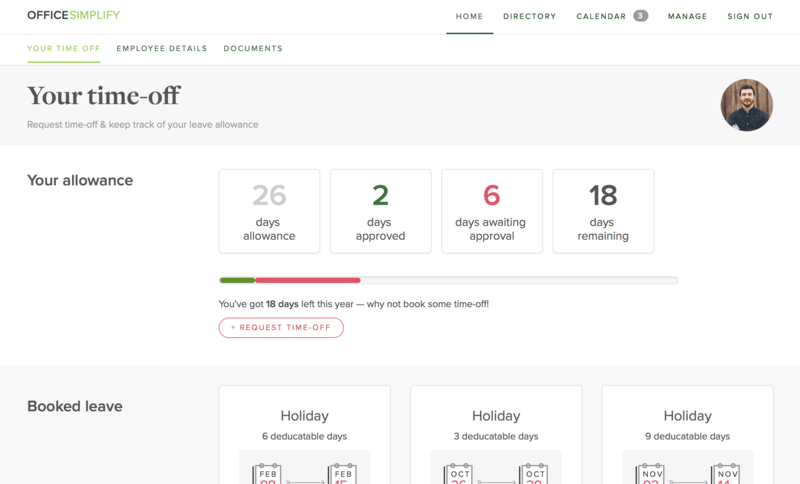 Manage time off and employee details all in one place! Employees request holiday, sickness, parental leave and all the other requests online. We manage notifying the correct team managers and assist with decision making. Clearly showing when requests clash with other approved time-off or when the coast is clear. You manage approving or rejecting in one helpful place, with all the data necessary. No need for that time off spreadsheet! 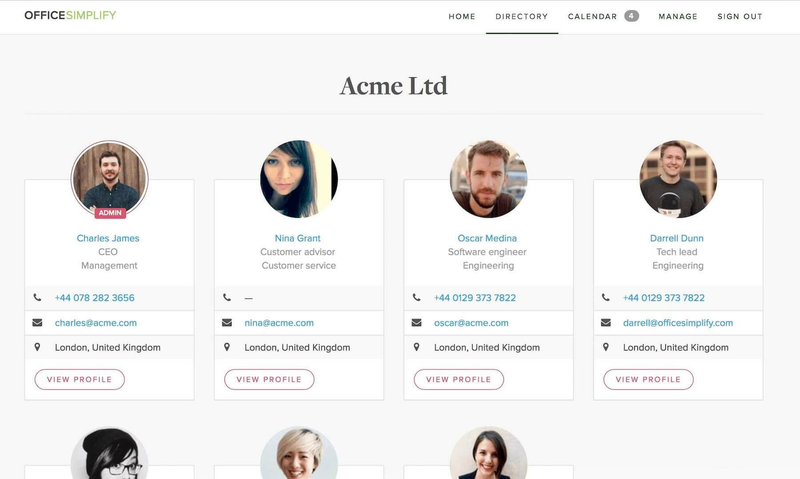 A simple user friendly employee directory, to help you with finding that mobile phone number when you really need it. Keeping a record of employee details is essential for any company. More importantly is storing that information securely. We help you do just that and everything is handy in one place. All employees have access to this directory, but it only displays limited contact information for non HR members or managers. Office Simplify integrates seamlessly with Google Calendar and Slack – tools we love and use everyday. Office Simplify also works seamlessly with Google Calendar, pushing approved time-off requests and company events straight to your company's shared calendar. An easy tracker for company equipment, easily assign a laptop or a mobile phone to an employee. 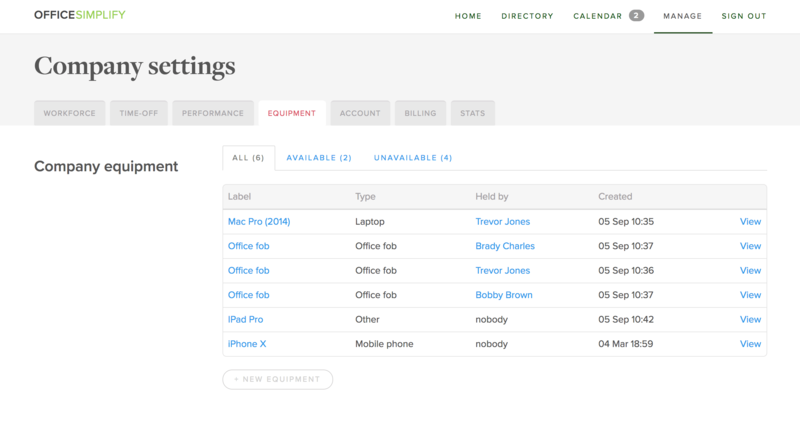 You can record serial numbers and a full history of each item. As part of off-boarding an employee you can easily remember of what things you need to collect during exit inteviews. Everything you need to run a happy modern company. OfficeSimplify Ltd is registered in England and Wales. Company No: #09934716.